This set of four coasters feature Fender’s most iconic products. 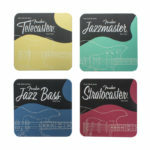 Perfect for use in your home-studio, living room, dining room or study. 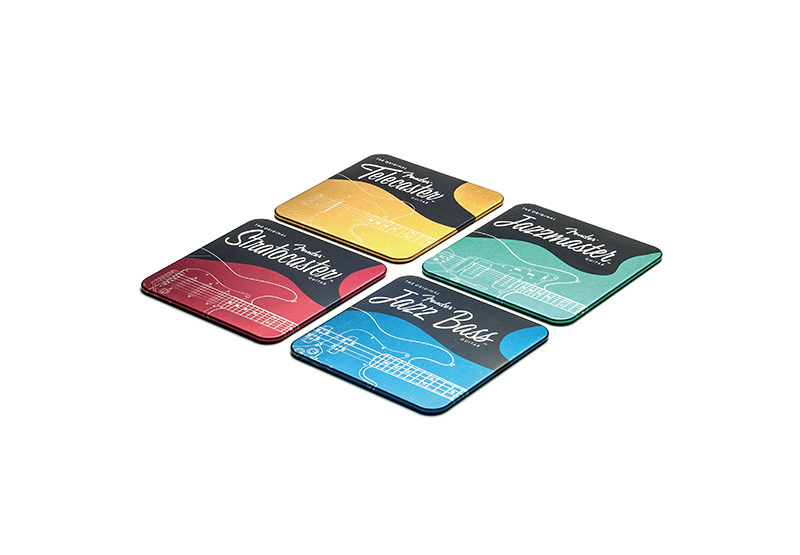 The metallic coasters are cork backed and make a great gift for budding guitar players, Fender fanatics and lovers of good ol’ rock n’ roll. With a truly prestigious history that dates back to 1946, guitar manufacturer Fender has captured the spirit of Rock n’ Roll and changed the shape of music worldwide.